Colors' show Silsila Badalte Rishton Ka has been creating a buzz since its inception, be it for the show's storyline or Drashti's unique style or Shakti's response to hate comments. The show is getting mixed reviews from the audience but the cast is working harder and not letting any of the issues come in their way. Now, that's dedication! Recently, actress Drashti Dhami taking to instagram, shared her ordeal and how the team is working together and having fun amidst all the busy schedules. She posted a picture of her with her co-stars Aditi Sharma, Shakti Arora and Abhinav Shukla from the sets of Silsila. Have a look at the picture below. Silsila Badalte Rishton Ka is a romantic drama that revolves around a couple where the husband gets into an extramarital affair with his wife's childhood friend, the story also focus on domestic violence on women. The series is directed by Ravi Bhushan under the banner Sphere Origins aired on Colors. What are your thoughts on this? Drop in your comments. 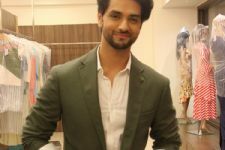 Adhure Adhure Has A Long Drive Feel: Shakti Arora on His Debut Music Video! #WackyWednesday: Mansi Srivastava's reply to Kunal Jaisingh's question is basically every foodie! #SaturSlay : Aga Bai! Nine Yards of POISE! 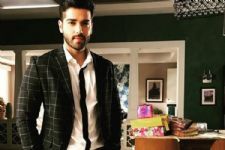 New entry in Star Plus' Qayamat Ki Raat! RadhaKrishn will be the first Musical on television! Drashti Dhami.. U r my favor actress..bt it's sad to know day people disliking ur nandini character..hamari society me aise concept logo Lo pasand nahi ati hain.. By ur doing great job..
Love you Drashti Dhami your connect with your fans work great. You are such a sweet person. Great..
Good to see a nice bond.though I'm not a fan of the plot line of the show. I really do believe these are fantastic actors who execute their shots well.